Robust, reliable and incredibly low weight, the two tail tarps measure 3m x 3m and 4m x 4m respectively. 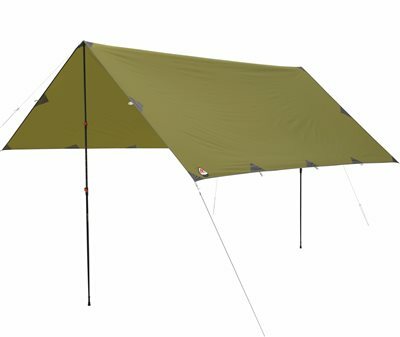 Both can be pitched easily and quickly using our tarp poles, walking poles or in a variety of other ingenious ways. Light durable guylines are attached to strong webbing loop hangers along the straight sides, reinforced to take punishment in the most challenging conditions.